The Power of No! highlights the historical and constitutional basis for nullification, and how we can use it today to stop federal overreach. To download, scroll down and enter your name and email. 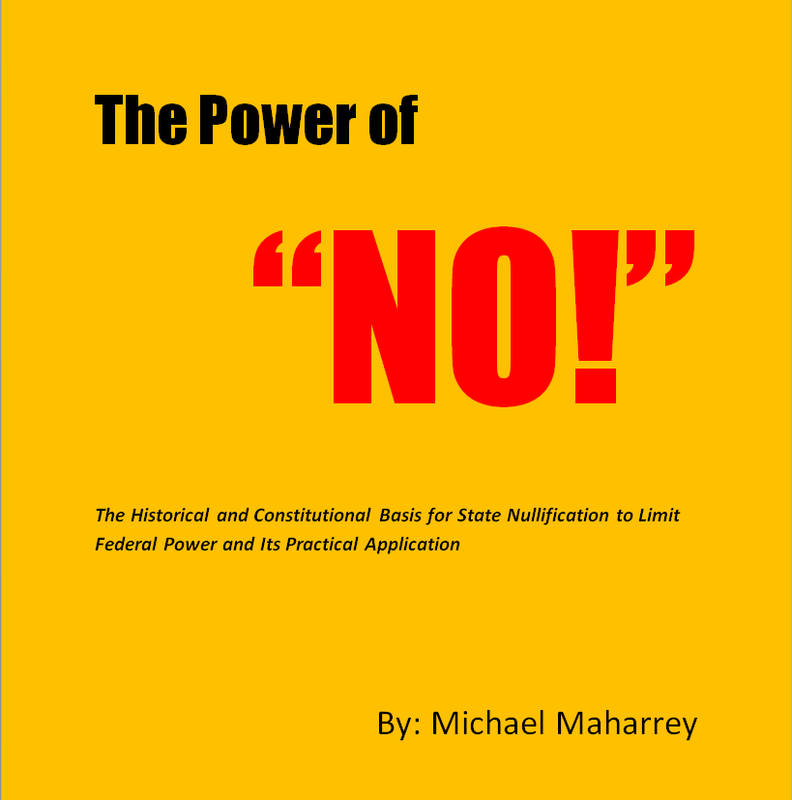 State nullification provides a powerful tool to stop overreaching federal actions and decentralize political power. The Power of No! provides a succinct overview of the principles of nullification as laid out in Thomas Jefferson and James Madison’s Kentucky and Virginia Resolutions of 1798. But it’s not just a history lesson. The book also explains how we can apply these principles to stop the feds today! Enter your name and email for the download link.